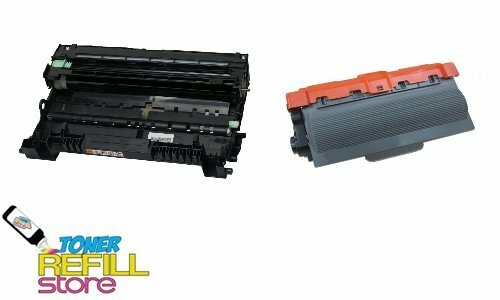 Toner Refill Store TM Compatible Brother TN750 Toner Cartridge and Brother DR720 Drum Unit are compatible with the following cartridges and printers: DR720 DR-720 TN750 TN-750 TN720 TN-720 DCP-8110DN, DCP-8150DN, DCP-8155DN, HL-5450DN, HL-5470DW, HL-5470DWT, HL-6180DWT, MFC-8510DN, MFC-8710DW, MFC-8910DW, MFC-8950DW, MFC-8950DWT. Each Toner Cartridge & Drum Unit is professionally engineered to produce the highest quality printouts for your Brother laser printer. This Brand New TN750 Toner Cartridge & DR720 Drum Unit is an ideal choice for your Brother Printer. 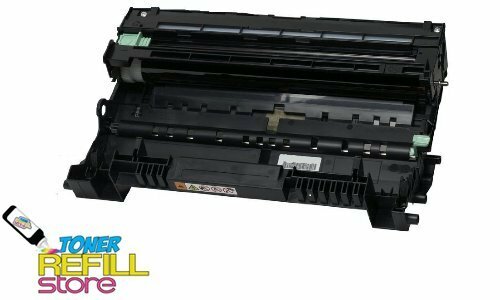 Toner Refill Store Compatible Brother TN-750 & DR-720 high yield laser toner cartridge & drum unit combo delivers excellent, dependable results, page after page. You can depend on our compatible Brother TN750 toner cartridge & DR720 drum unit! Comes with Black High Yield Toner Cartridge and high yield drum unit. Product Comes with a 1 year 100% Satisfaction Guarantee. Toner Refill Store offers free technical support for any questions you may have.